On April 4, 1866, exactly one hundred fifty years ago today, an advertisement appeared in the Lynn Reporter. Submitted in the form of a letter to the editor by one Mary Patterson — who would later be known to the world as Mary Baker Eddy — the ad was written on behalf of her landlord, Armenius C. Newhall, who was looking to sell the property, located in the neighboring town of Swampscott. Mrs. Patterson and her husband Daniel had recently lived for about six months in rented rooms on the second floor of the house. 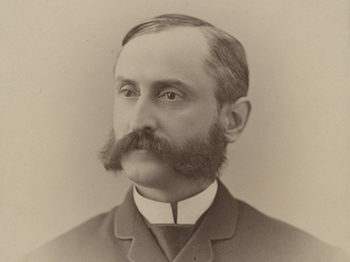 Armenius C. Newhall was the Pattersons’ landlord in 1866. 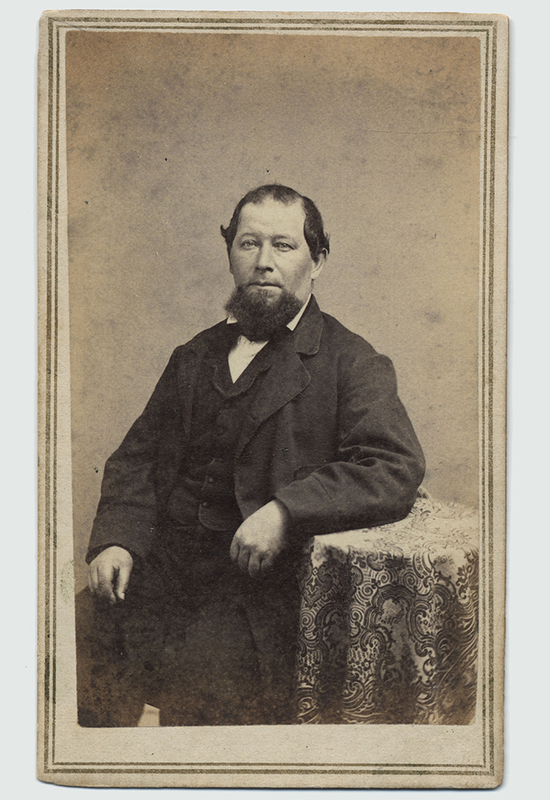 Carte-de-visite, Longyear Museum collection. The advertisement sheds light on the author’s own personal desire at the time for a more secure sense of home — entirely understandable considering her frequent moves during that period of her life. The tranquility, harmony, and beauty described in the Lynn Reporter advertisement were no doubt qualities she fervently hoped for in her own life. From the property’s “commanding view” to its lush grounds complete with fruit trees, a winding brook, and a “fountain of crystal water,” in which “gold and silver fishes are swimming dreamily in the sunlight,” the descriptions are vivid. 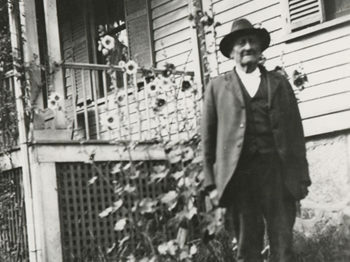 The closing image of the “kind and hospitable” homeowner welcoming the wearisome stranger perhaps mirrored the writer’s own desire to find an embracing and settled homestead. The property at 23 Paradise Road was the latest in a series of homes Mrs. Eddy had occupied since 1853, when she married itinerant dentist Daniel Patterson. Her brief sojourn there would prove life-changing. On February 1, 1866, while on her way to a temperance meeting in Lynn, Mrs. Patterson slipped and fell on an icy sidewalk. 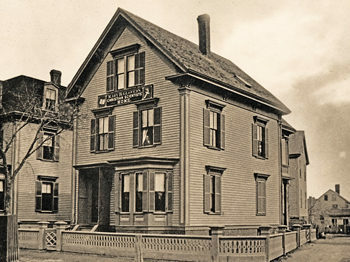 Gravely injured, she was carried unconscious to the nearest house, and would be taken back to her home in Swampscott the following day, where little hope was held out for her recovery. In those rented rooms, however, while reading an account of one of Jesus’ healings in the gospels, she caught what she would later describe as “a glimpse of the great fact that I have since tried to make plain to others, namely, Life in and of Spirit; this Life being the sole reality of existence.”1 To the astonishment of those around her, she found herself well. 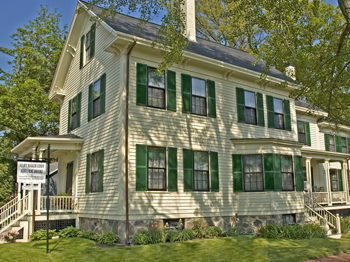 Mrs. Eddy’s former home in Swampscott as it appears today. Mrs. Patterson’s stay at the Swampscott residence ended the following month, in March, when she was informed that her landlord intended to sell.3 It wasn’t surprising that he would turn to her for help with the advertisement, as she was a frequent contributor to local newspapers. And if she felt anything but gratitude for her stay at the Paradise Road house, it’s certainly not evident. Her description of the property, written in the floral Victorian style of the day, paints the grounds and surrounding town in lyrical phrases, while the tone is largely cheery, at times even playful, and replete with puns and plays-on-words. “Now if we waive the matter of odor, the idea cannot be swamped that Swampscott is a pretty, pleasant, yea, a delightful summer residence,” she writes. “Sweet air, pure water, glorious Old Ocean, specked along our coast by fishing barges, cawing wild geese and squalling tame ones…”4 She goes on to praise the “flourishing” local grammar school, the church, and a new temperance lodge under construction, as well as a more detailed description of the property for sale. 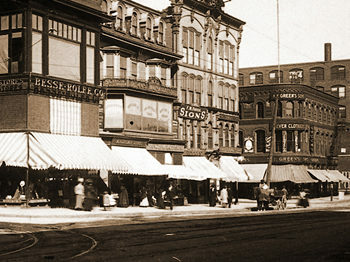 The fishing village, pictured here shortly after the turn of the century, would have looked largely the same when Mrs. Eddy lived nearby. 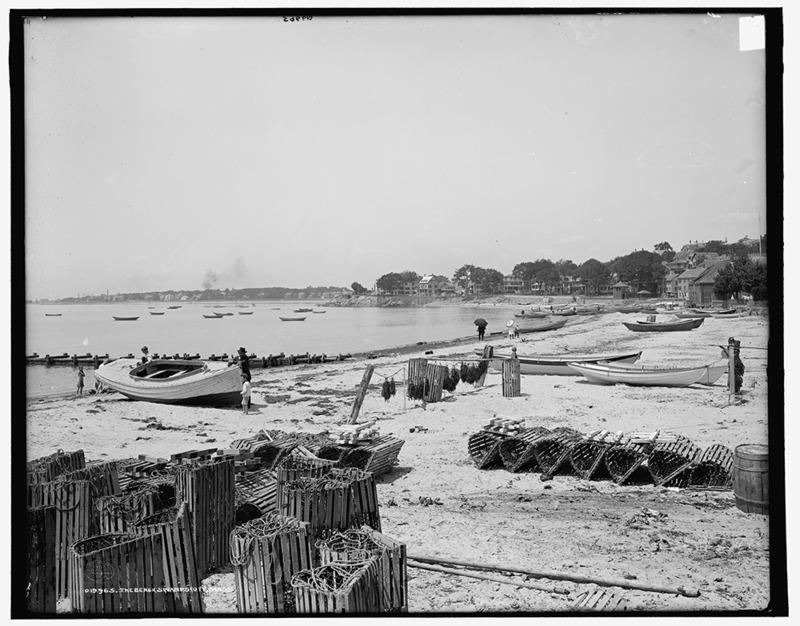 The Beach, Swampscott, Mass., ca 1907. 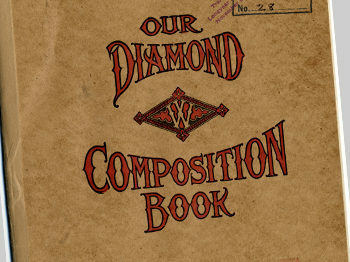 Courtesy Library of Congress, Prints and Photographs Division. 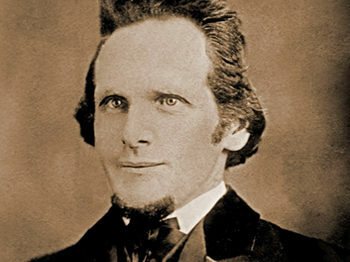 Mary Baker Eddy, who would later write poignantly that “home is the dearest spot on earth,”5 did eventually find a secure sense of home: nearly a decade later, she purchased her first house in Lynn, not more than a mile west of the Swampscott residence. 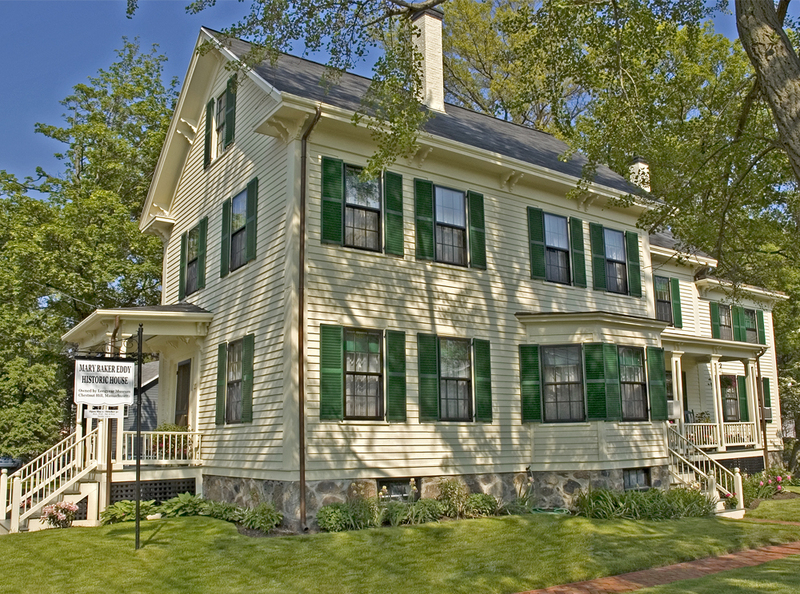 Today, one hundred fifty years after her advertisement for the Paradise Road property was published, Longyear Museum is happy to offer visitors their own sojourn in Swampscott, as well as at seven other historic houses where the Discoverer, Founder, and Leader of Christian Science once lived and worked. We hope you’ll stop by and see “this beautiful residence,” as Mrs. Eddy called 23 Paradise Road, for yourself! MR. EDITOR:—Is there anything in a name? In the absence of your reply, I take that of Shakspeare—that “a rose by any other name would smell as sweet.” Now if we waive the matter of odor, the idea cannot be swamped that Swampscott is a pretty, pleasant, yea, a delightful summer residence. Sweet air, pure water, glorious Old Ocean, specked along our coast by fishing barges, cawing wild geese and squalling tame ones, that they say are very green before they become “white folks.” Summer birds are not yet, but the voice of the turtle will ere long be heard in the land. The snow-birds and your humble servant have had a brief flirtation, which ended with winter, in a genuine friendship. When the blasts blew fiercely, and cut mad antics about my window, my winter-wanderer would hop over the snow to catch a few crumbs, and chirp and cheer the livelong day. (Good birdie this.) But the background of the birds—the beautiful skies—is just what makes them flit with such seeming vanity — is just where they dip their plumage in such exquisite dyes. The skies at Swampscott are unvailed. We can see them! and O! they are spiritually bright, beautifully blue, and wondrous in their change. Strong, living, glowing lines of radiant hue are drawn in the west at setting of the sun, and as distinctly and boldly seem they to be set in the blue ether as the rainbow that rests upon the cloud. We must always admire them, but especially as they are seen from this spot. Here we must look, and look to catch every change, and wish even they were not so transient, so fraught with earth, as just to stay long enough to make us in love with them, and then to face and dissolve into night. But, night, the moon and old ocean are a glorious trio, and one that does not deceive. To watch the moonbeams on the wave, to listen to the voice of many waters sending up solemn-sounding anthems to the moon — then to catch an occasional glimpse, in another survey of thought of one’s spiritual self — is to see what shadows we are and what shadows we pursue. But the people and the steeples are the most natural ideas of the character of a place, and these ideas are distinctly drawn here. The Orthodox clergyman, Rev. Mr. Clark, gives us weekly a lesson, strong, clear and logical, as it is earnest and solemn in application; his labors also, in behalf of education in their influences here, can be seen by all. 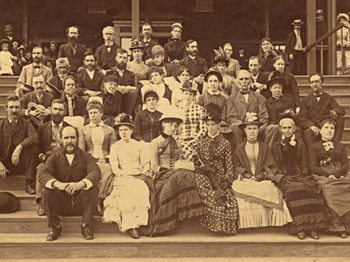 The grammar school, under the tuition of Mr. Ellis, is in a very flourishing condition; a natural result, when we consider its able instruction. The country seat of Hon. E. R. Mudge is a quaint and artistic imitation of an English park, and really a desirable addition to any place. A new hall is being fitted up for Seaside Temperance Lodge. But there are other New-halls here, located in Paradise, or on the road to it. Mr. A. C. Newhall’s residence, in Paradise avenue, has a very commanding view. The buildings are within an enclosure of two and a half acres. The arrangement and decoration of the grounds does credit to the taste and eccentricity of the owner. Near the terminus of a gracefully sloping lawn is a fountain of crystal water, the basin of which is beautifully bordered by the weeping willow, while within it gold and silver fishes are swimming dreamily in the sunlight. Fruit trees, (delicious pears and apples) are ranged in stately rows, while strawberry beds, currants and gooseberries are scattered about in admirable confusion. The buildings are an excellent two-story house, piazza in front and on the side, with a fine stable and observatory. A winding brook strays through the grounds, which the owner designates the Jordan of the place; but we venture the assertion that a stranger would not long weep or hang their harp on the willows of its banks, if seen by the kind and hospitable owner of the homestead. This beautiful residence, the owner informs me, he would sell. What a chance to suit oneself is this! There’s no indication that she was on anything but good terms with her landlord, and in fact would be the guest of Mr. Newhall and his wife at their home on New Ocean Street in Swampscott the following September. 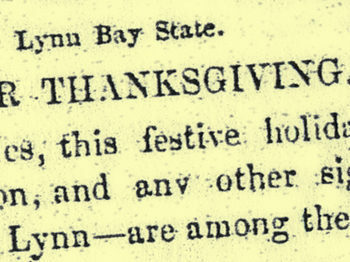 “Swampscott,” Lynn Reporter, April 4, 1866. Mrs. Eddy wrote the letter to the editor on March 19, 1866. Science and Health with Key to the Scriptures, 58.